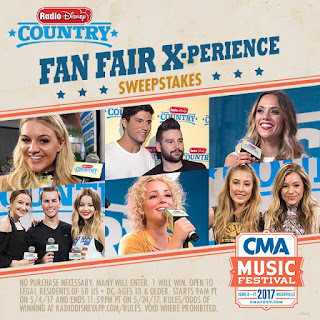 Win a Trip to CMA Fest to Meet Radio Disney Country Artists at Fan Fair X! 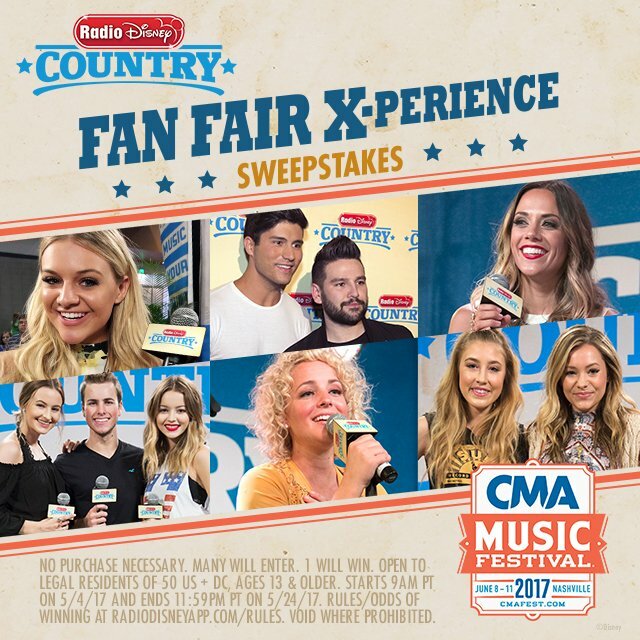 Download the Radio Disney Country mobile app to enter to win a trip for up to four people to meet the Radio Disney Country Artists appearing at Fan Fair X. Grand prize includes airfare, hotel accommodations, and event passes! Full rules available at www.radiodisneyapp.com/rules. CMAFestMeetandGreets.com is merely reporting the availability of this contest and is not affiliated with, endorsed, sponsored by, or in any way officially connected with the CMA Music Festival or Radio Disney.